The Homer Laughlin 2131636 plate easily resists chipping and scratching thanks to its china construction, while also makes it durable for commercial use. A narrow rim on the dish provides more space for food on the plate. 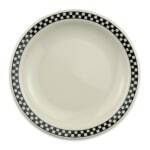 With a small diameter of 71⁄4 inches, the Homer Laughlin 2131636 plate can be used to serve small portions of appetizers and desserts. 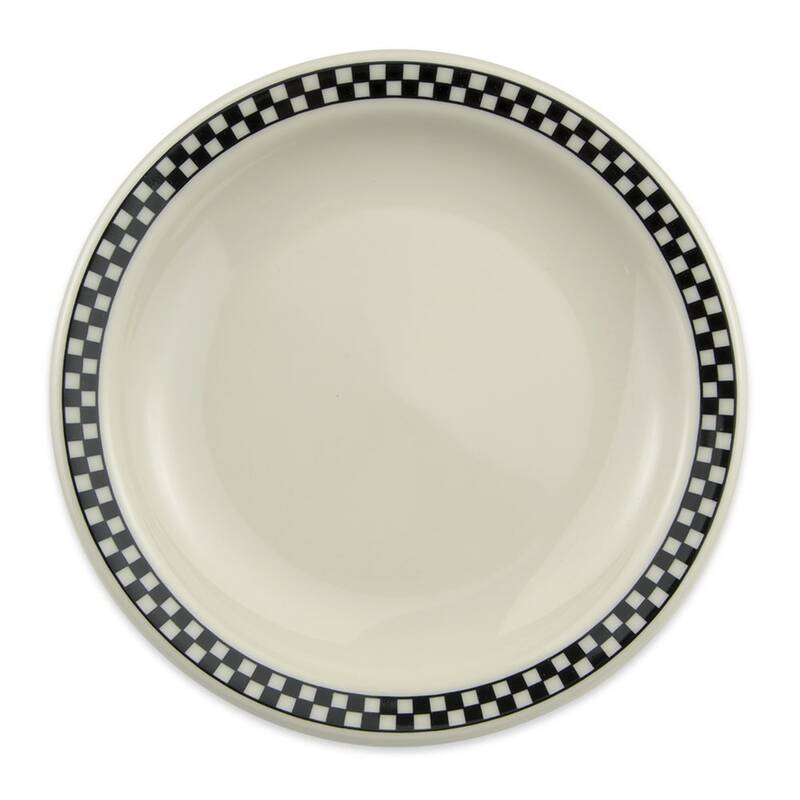 If you have a retro theme, the ivory and black checkered pattern creates the perfect setting.